A keratin treatment is a temporary straightening process that usually is done at a professional salon. Its purpose is to transform frizzy, unruly hair into straight, shiny, luscious hair. Keratin treatments use a high-temperature flat iron, which is used to fuse the protein keratin with the natural proteins already found in your hair. This seals the cuticle and helps repair damage, resulting in stronger, smoother, and more manageable hair. While the basic concept of keratin is simple, things can get a little complicated when you start talking about all the different types of keratin treatments. The goal of this article is to help you understand these distinctions so you can make the most informed choice about the type of keratin treatment you should get. You may have heard of Japanese straightening treatments, which are permanent treatments that make hair extremely flat and straight. Japanese straightening will eventually grow out, but requires lots of maintenance to keep the results. Keratin doesn’t last as long as Japanese straightening, but it also doesn’t require you to grow it out. Brazilian blowouts are similar to keratin treatments, but are lighter. They won’t give you hair as straight as a keratin treatment and can be washed out immediately. Brazilian keratin hair straightening treatments by Marcia Teixeira are longer lasting and require a three-day “no-wash” period. 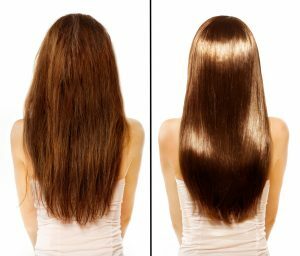 But once you get a Brazilian keratin treatment, it will last at least a few weeks and possibly as long as a few months. Keratin treatments add shine and softness to your hair, resulting in smoother, frizz-free hair that isn’t affected by humid conditions. It also repairs damage to your hair and can dramatically increase drying and styling time. If you are looking for a new look for the New Year, consider a Brazilian keratin hair straightening treatment by Maria Teixeira.